Australia, being the lucky country we have a huge choice when it comes to building and modifying cars, our car culture was built on the huge amount of makes and models available on Australian roads, Aussie built cars dominated in the 70`s and 80`s while the popularity of Japanese and European cars grew strongly in this period as cars became more affordable and shipping made easier, now although many of these cars could not be registered, some great examples can be seen at your local race track every weekend. 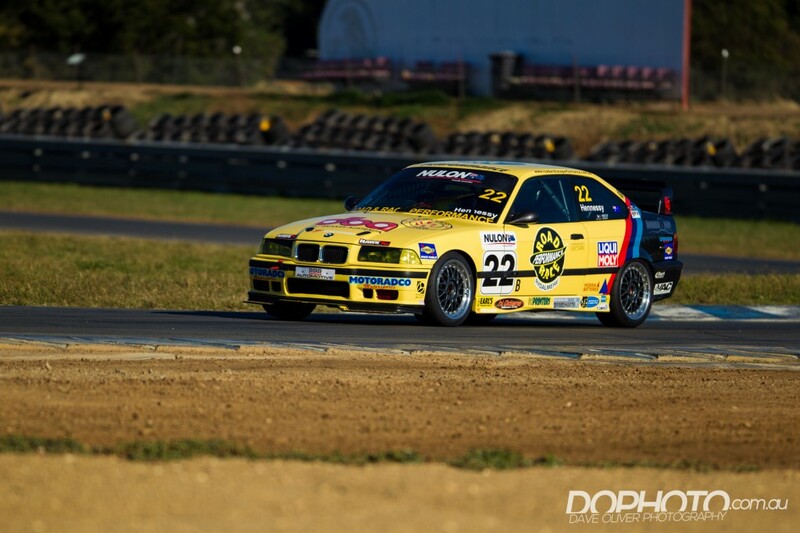 Take a look at the Nationals club entries for example, GT40`s trading places with Toranas, GTRs and super rare BMW M3R all in the same category racing for the same prizes, This is what grass roots motorsport should be all about. 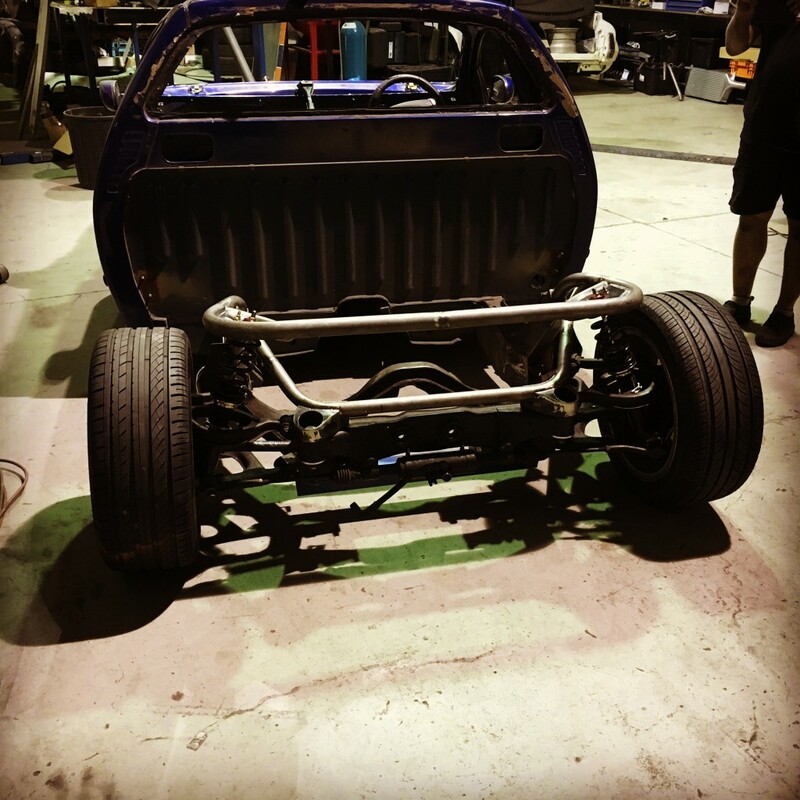 A change is in the air with the new laws surrounding “Grey” or low volume imports, as of 2017 you can now register many of these imports for street use which in turn is going to increase the number of cars to choice from when creating or building a track car. 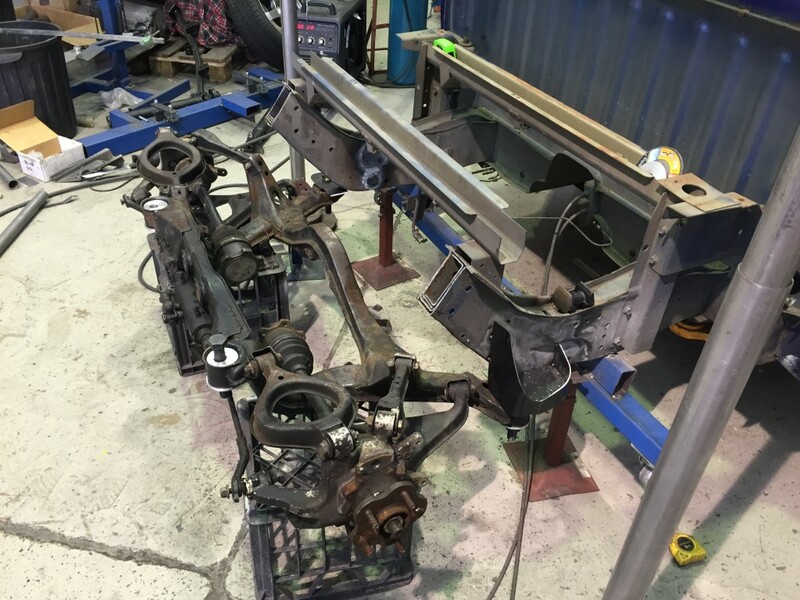 These laws are being changed due to the Australian automotive manufacturing sector falling to its knees over the past few years and shutting down. 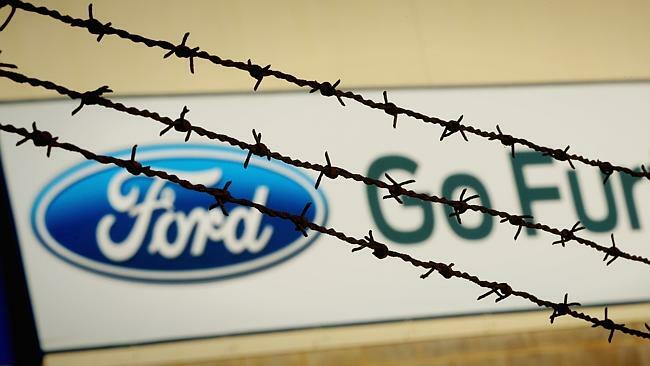 We could harp on all day about this but the sad reality is we are losing a huge piece of history in the Australian car culture when Ford and Holden cease production in Australia and become a 100% import manufacture. 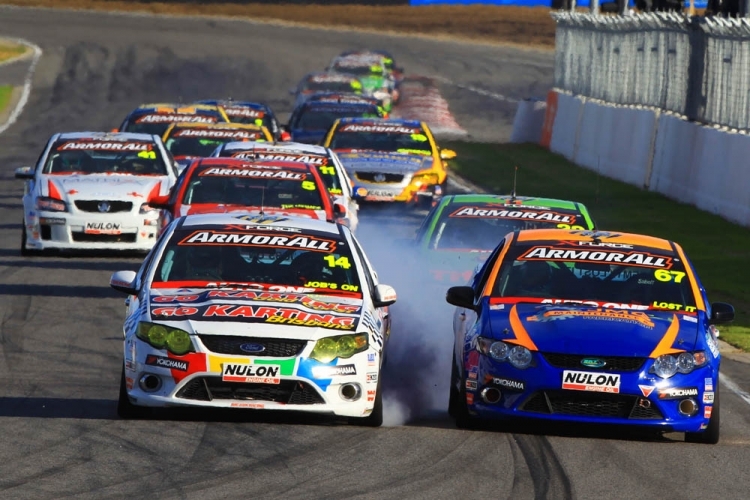 The biggest lose in our eyes is the classic Australian Ute, This body shape has been available in Australia continuously for 65 years and become part of the modified car scene and racing scene alike, it even has its own ” V8 utes” racing series that supports our supercar category. 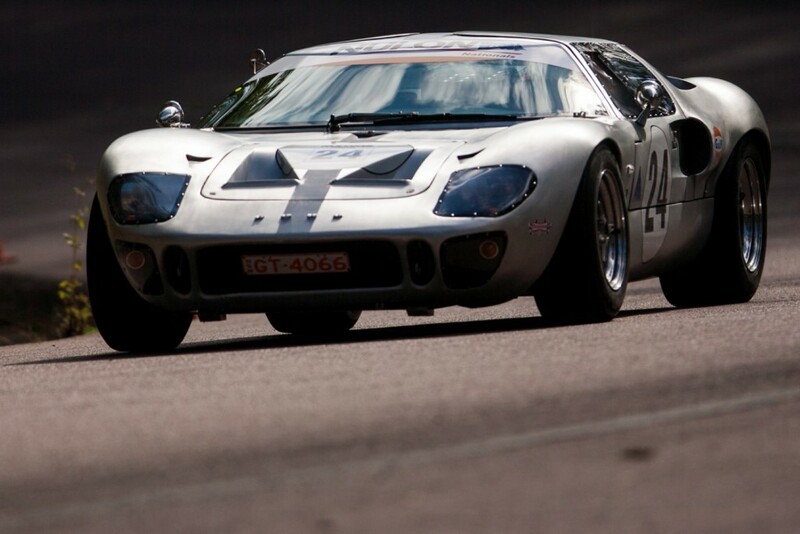 Nothing better than a big motor up front, 2 seats and no weight over the rear end. 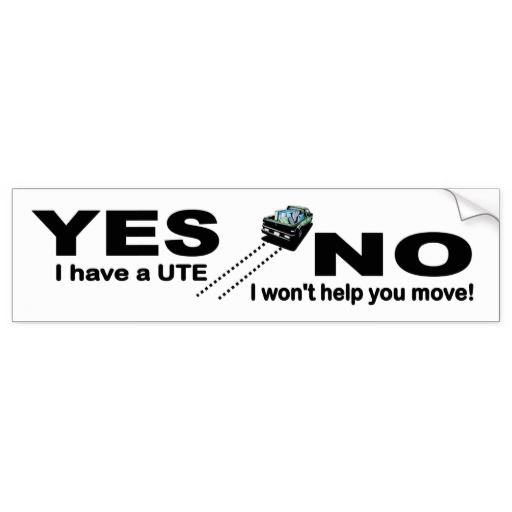 They are alot of fun to drive and as the bumper sticker says, “If you want more friends, buy a ute” as they are extremely practical when you need to pick up that big spit roast or move house in a hurry. 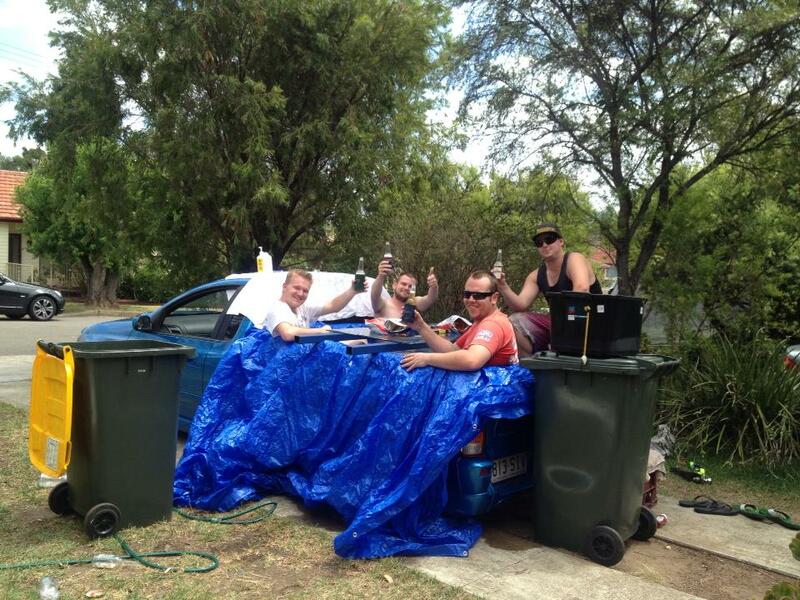 Another great use for the Australian built ute, is to have a part in the tray, this is a very simple yet highly effective form of entertainment, Take 1 over-sized tarp from Bunnings, get some beer and ice, back it into your neighbours driveway and use his hose to fill it with water. 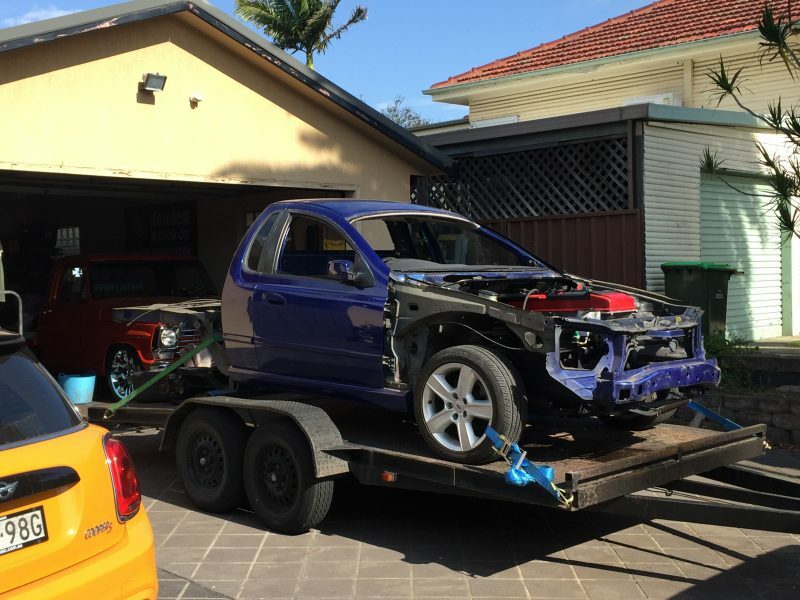 With this in mind, we would like to introduce a creation that is going to pay homage to the local workhorse in the form of an XR6 turbo Ute. Ian from Porter Performance and his team are no strangers to the Nulon Nationals, driving or not the guys are always willing to lend a hand with our events in the form of setup, pack up or drinking the bar dry, the boys from the shire have become somewhat of a legend in Cootamundra, The globe hotel dance floor will never be the same. 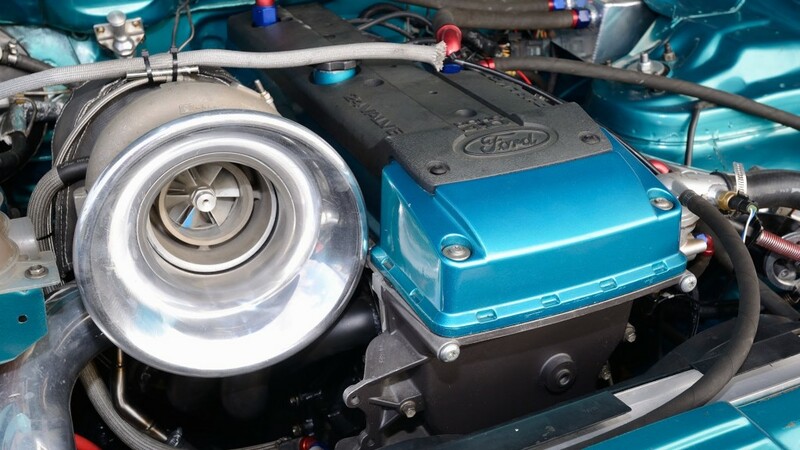 Ian Porter picked up this rough and ready example of a turbo ute with the sole purpose of building a crazy track car that would not only make heaps of power and do a skid, but needs to be well balanced and run good times at both race tracks and drag strips alike. 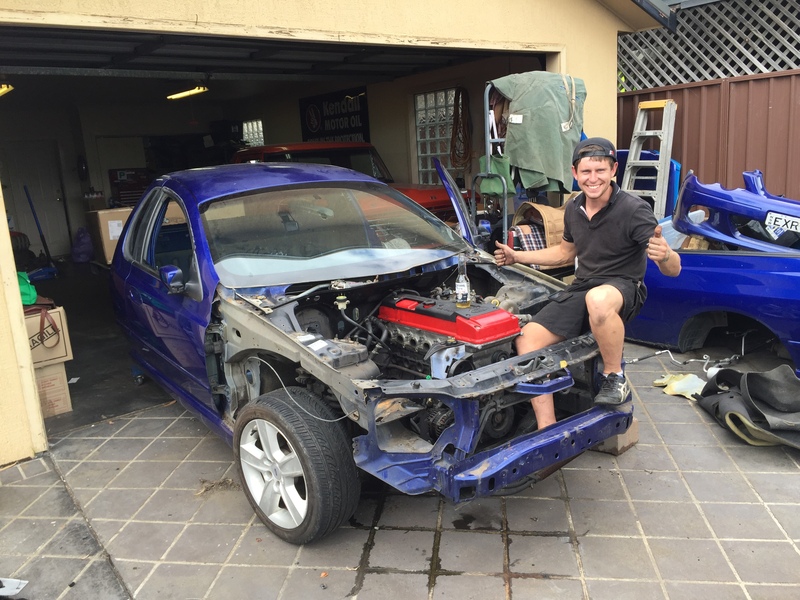 So lets take a look at the strengths and weaknesses of the BA XR6 turbo ute, as most of you know, the Barra240 motors can make over 400klw out of a factory bottom end without too much hassle, so lets put that in the strengths column, they also have a 6 speed T56 gearbox in any car produced after October 2014 (BA MKii onward) this box is often an upgrade to a lot of Japanese cars to handle big power, Porter will have to upgrade the clutch to handle the extra power, but starting with a solid motor and box combo is half the battle. 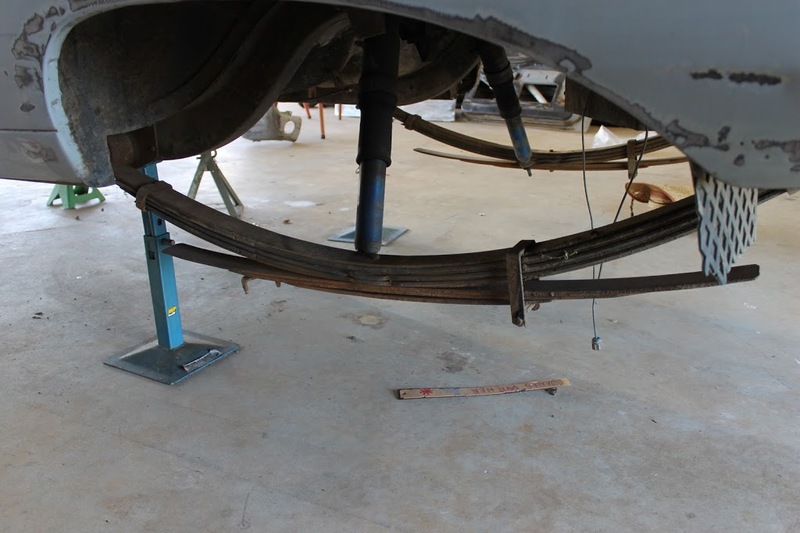 The biggest weakness in the xr6 turbo ute platform is the leaf spring rear end. 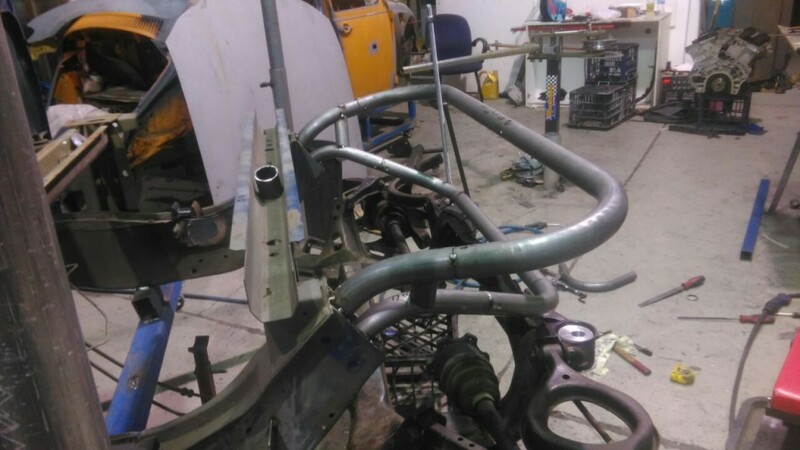 Now this is great if you are loading the tray with bails of hay or cases of beer, but in a racing environment the rear end becomes loose and more importantly unpredictable which makes cornering alot slower and the time taken before you can get back on the gas longer. 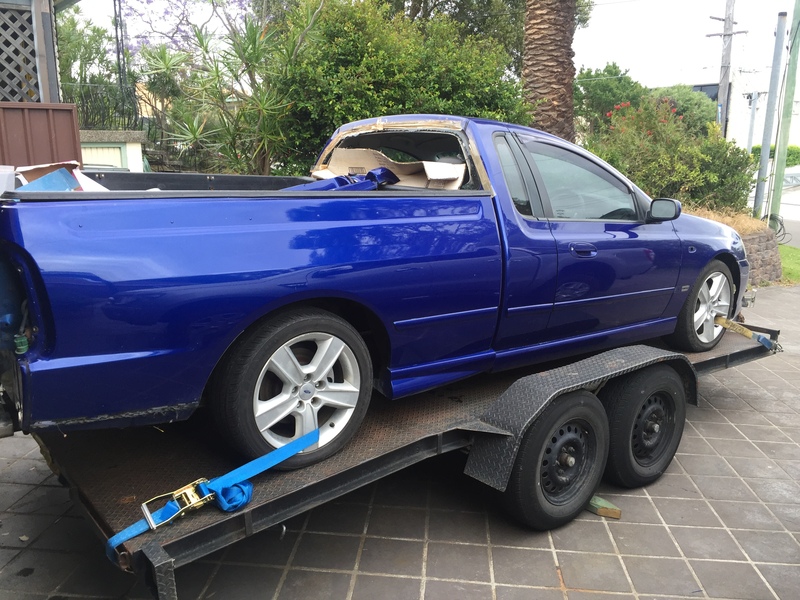 So after a few hours of staring at the rear end of this glamour ute, he decided that the leaf rear end had to go, replacing it with an IRS system. 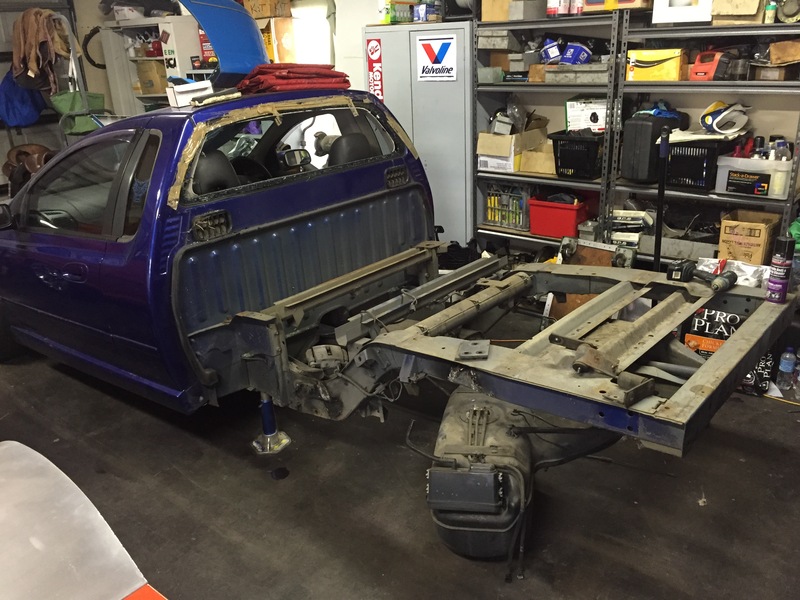 This isnt going to be a simple job to do, basically he is going to have to cut the rear end off the car and replace it with someone else`s rear end, making sure everything like the diff, wheels and suspension pickup is spot on. 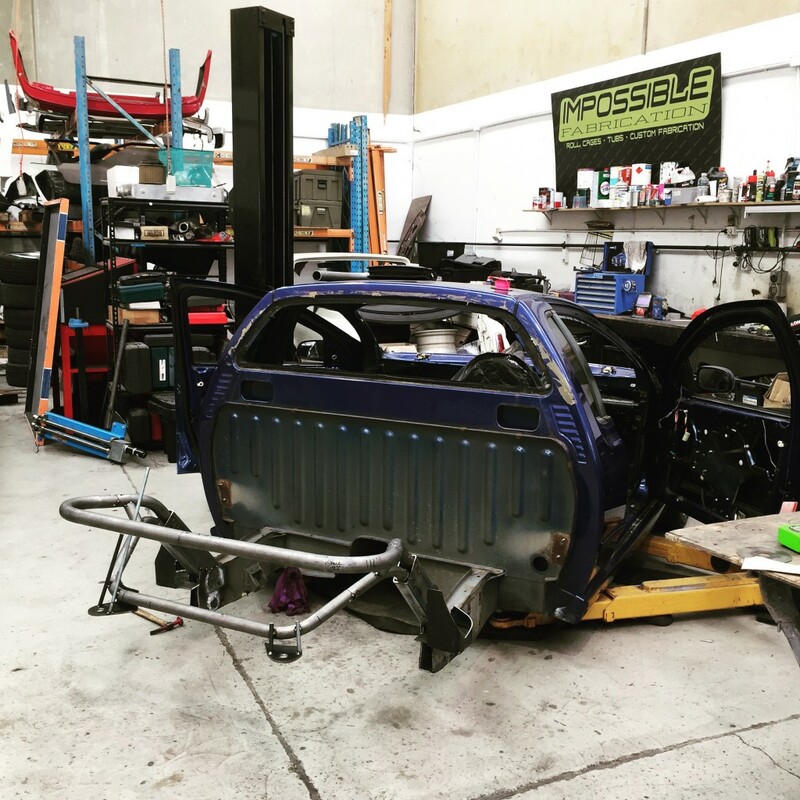 There is only 1 man for this kind of project, Grubbo from Impossible Fabrications has had his fair share of rear ends in his time, he is the master mind behind the RWD civic, Front mounted V8 RWD Drift beetle, 2GR v6 sprinter as well as many other stupid crazy builds in his time behind a welder. 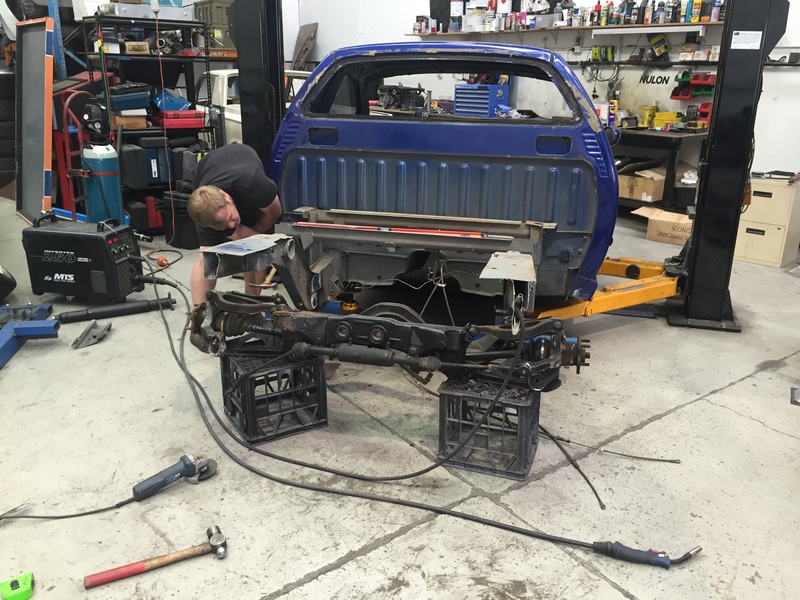 Step one is to strip the ute completely, leaving just the bare motor and 4 wheels. This is always made easier if you put a case of beer in the fridge. Porter and the boys had it ready to go in a weekend. While this was happening a plan of attack was made for the rear end, having played around with GTR rear ends in the past this was the first on the list, but a combination of price and availability meant that they had to find another option that wasnt going to cost more than the ute itself. A 300ZXTT rear end came up and Porter jumped on it, these rear ends have a R230 diff which is bigger than a 9 inch, pair this with huge half shafts and big flat chassis pickups (like most Nissan rear ends) it became the only choice. 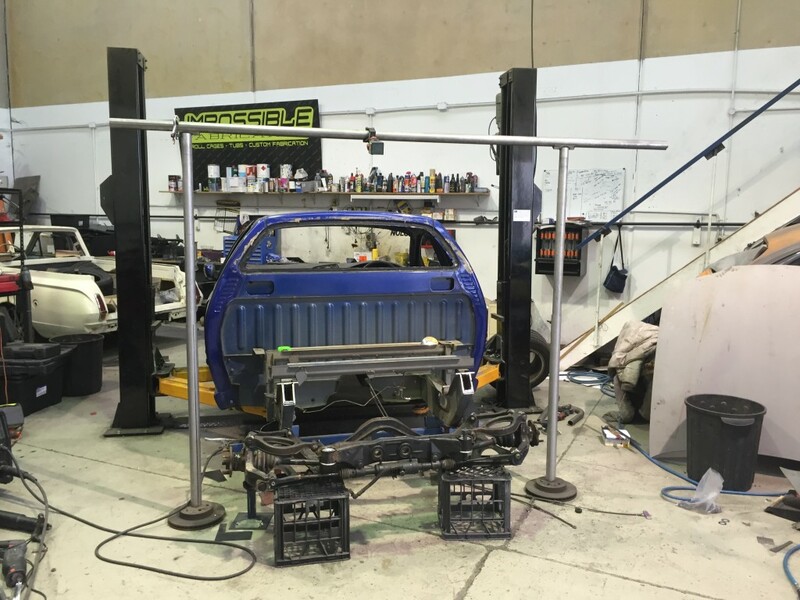 Once the ute was stripped as much as it could be, Porter and co loaded up and headed over to Impossible Fabrication. Time to get the angle grinder out and make some go fast modifications. 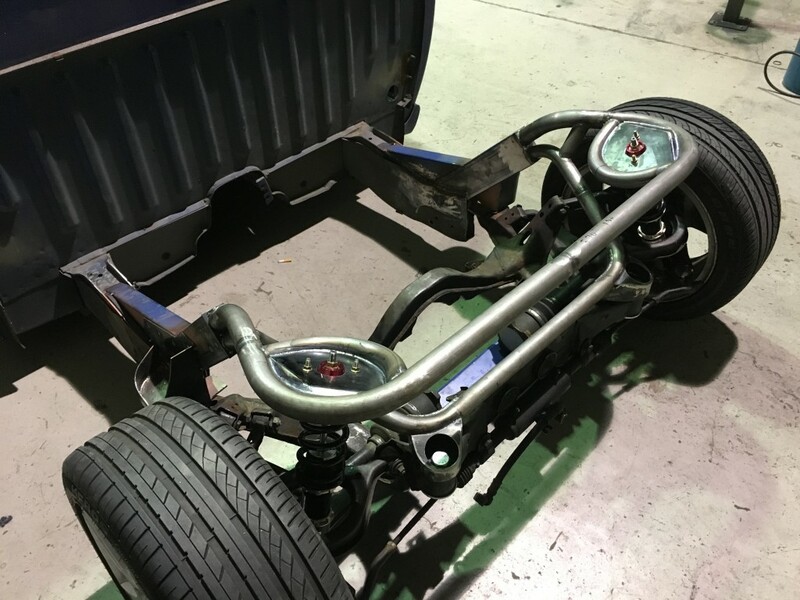 Grubbo took no time in getting his head around what was needed, The 300zx rear end was a similar width to the leaf rear end so setting the width was easy. 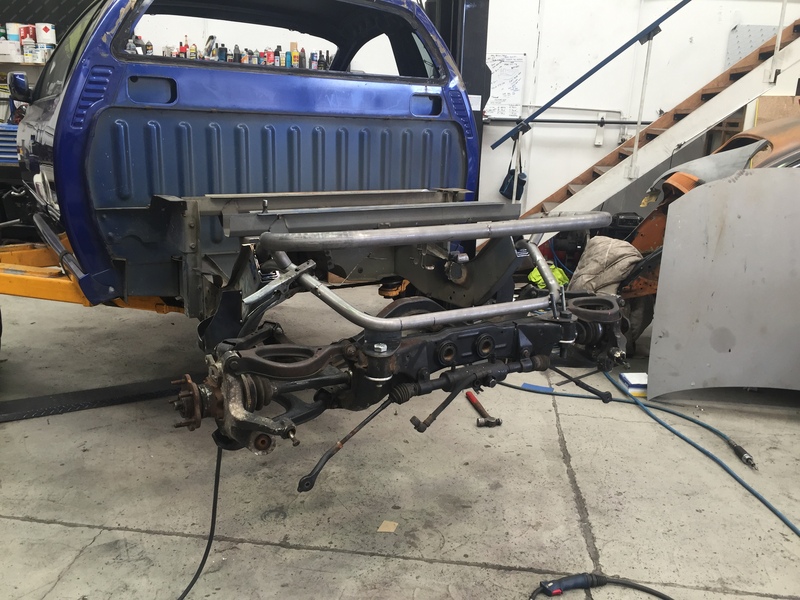 Next up the chassis was “Modified” just behind the cab to make room for the IRS rear end. keeping the rear end square is the hardest part of this step, without getting too technical, Grubbo used science and magic to make this happen. 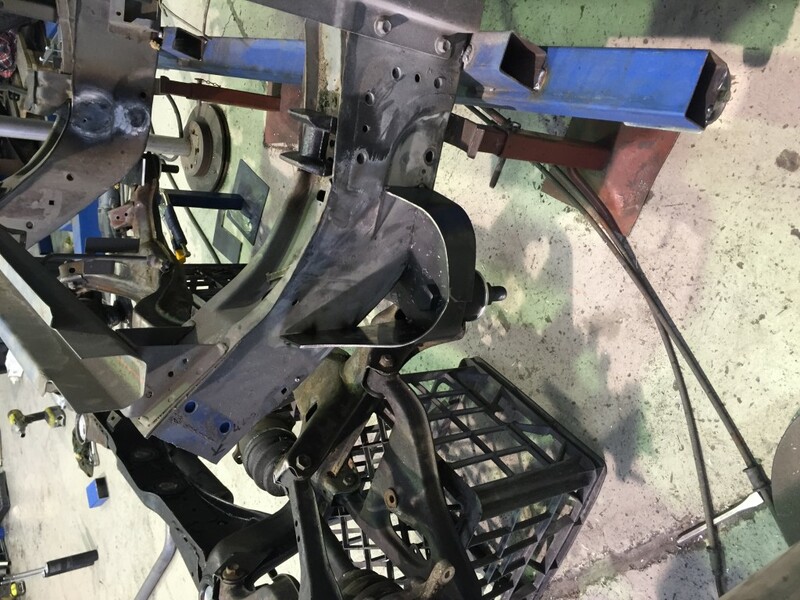 “When you have set this many rear cradles, you pick up small tips and tricks that make this process easier, my first rear end took 7 days, This one took 2 hours”. 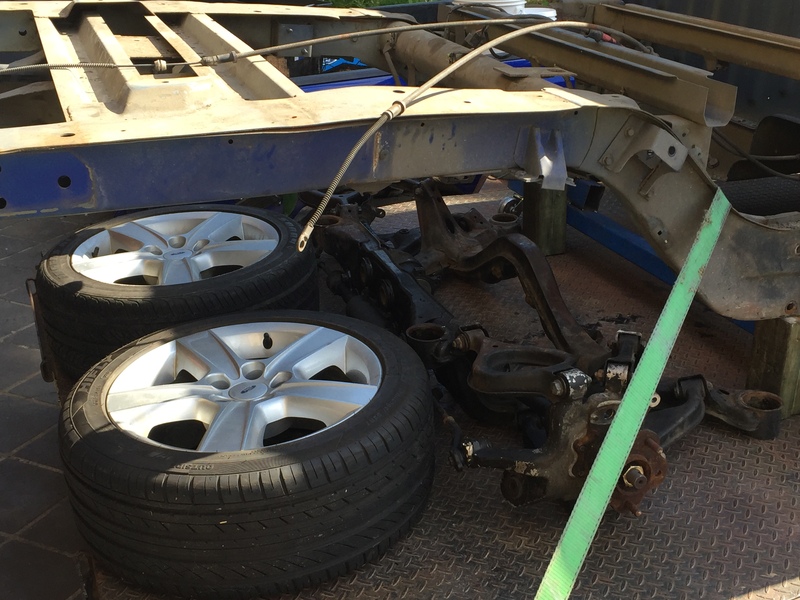 Holding its own weight is step one, the track and wheel base looks good so onto the next step. 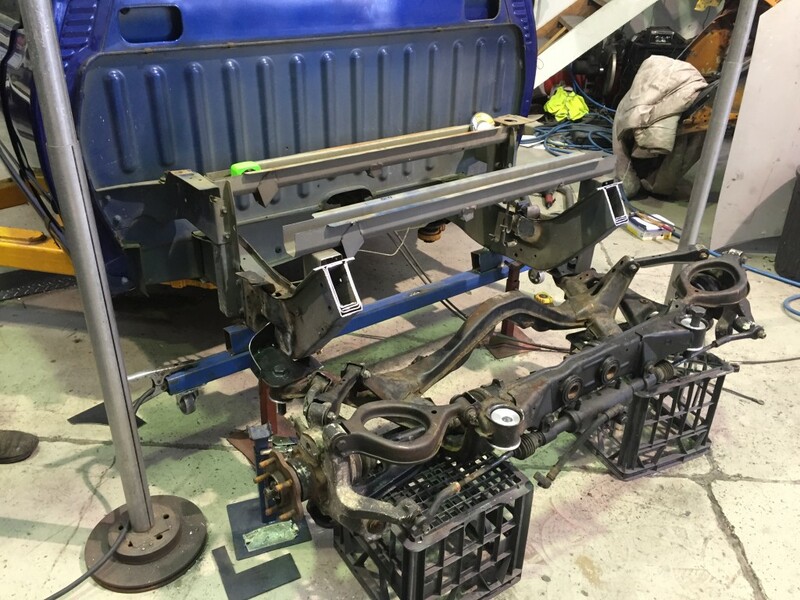 Getting it rolling only took 2 days, as you can see Porter has start reinforcing the rear chassis rails to take the extra load. 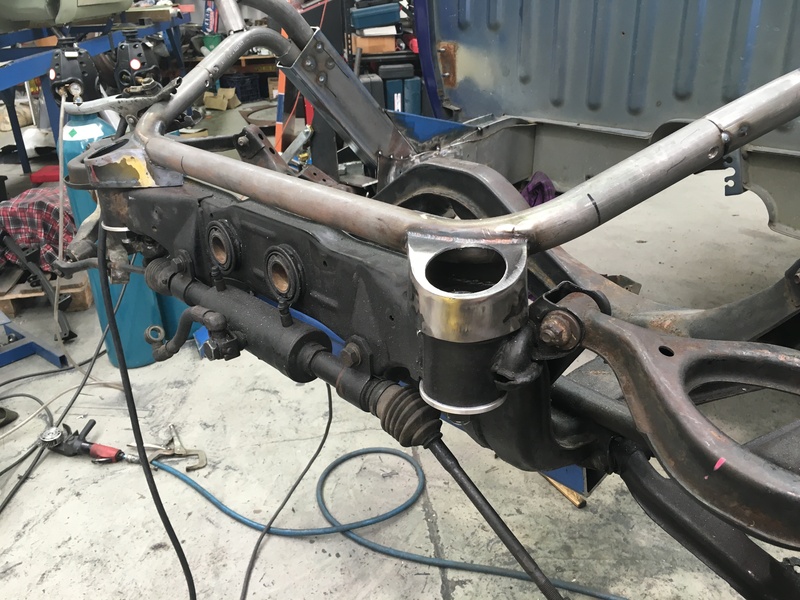 With some spare time on his hands Grubbo finished those mounts off like a work of art, this rear end is going to be something special. 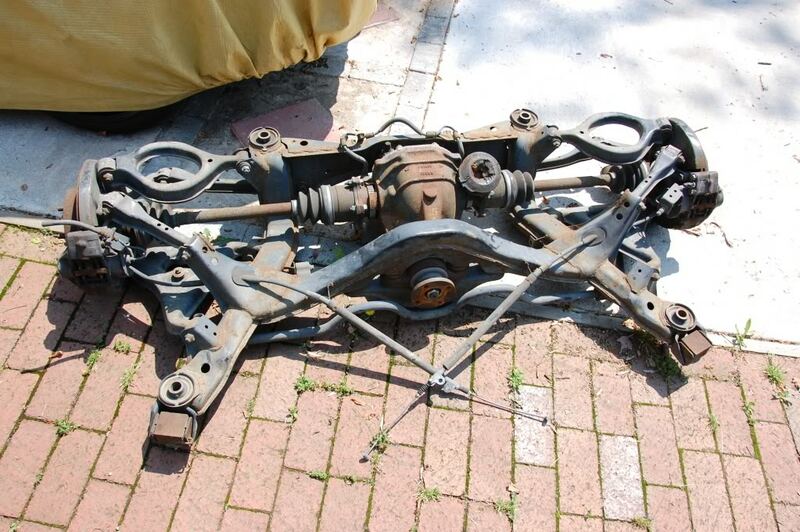 When you remove the rear cradle, it shows just how much metal the boys have removed. When these two guys get together, the ideas that flow are incredible. 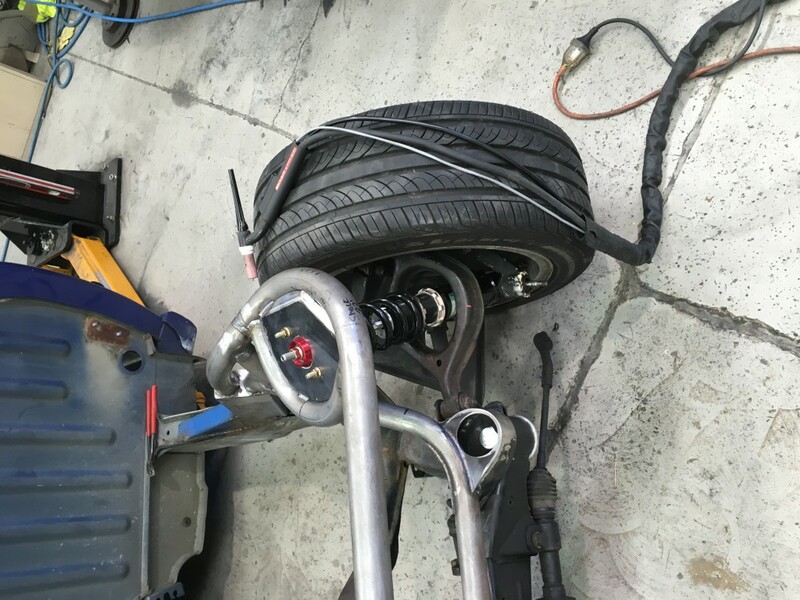 Check out how the strut top is formed, using 2 bends and a handmade strut top, They were able to set the new BC Coilovers in and get the ride height spot on. 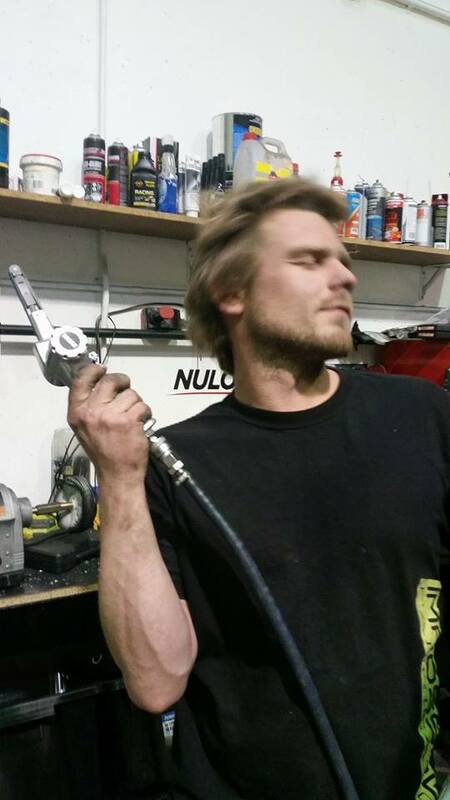 Amazing bit of fabrication. 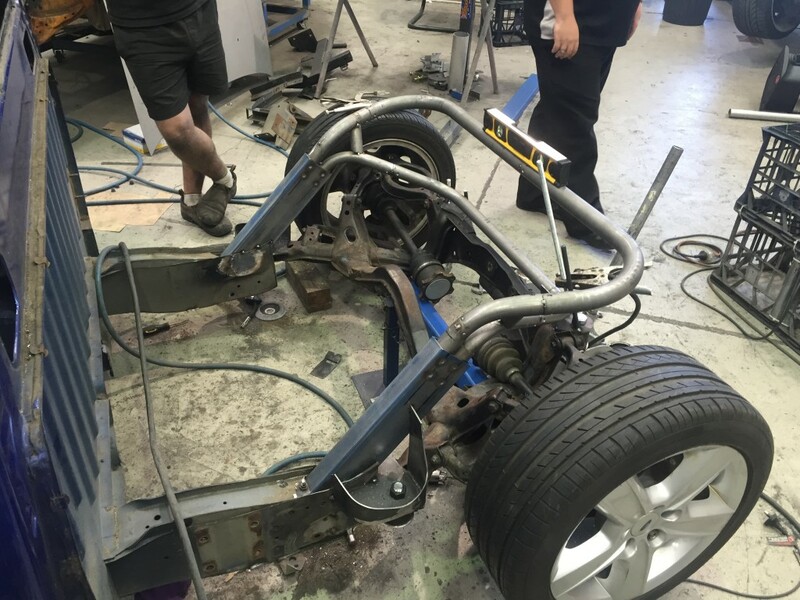 Check out how clean this has become, The rear end is in and rolling, and wow it looks tough. 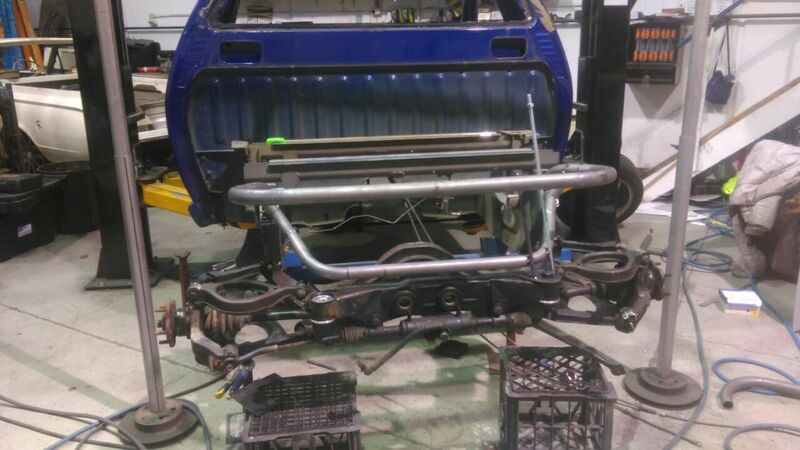 Now that we are rolling again, it is time to start on the roll cage, Porter has asked for a competition spec cage, but being 6ft plus he needs to get as much room as possible when getting in and out of the car. 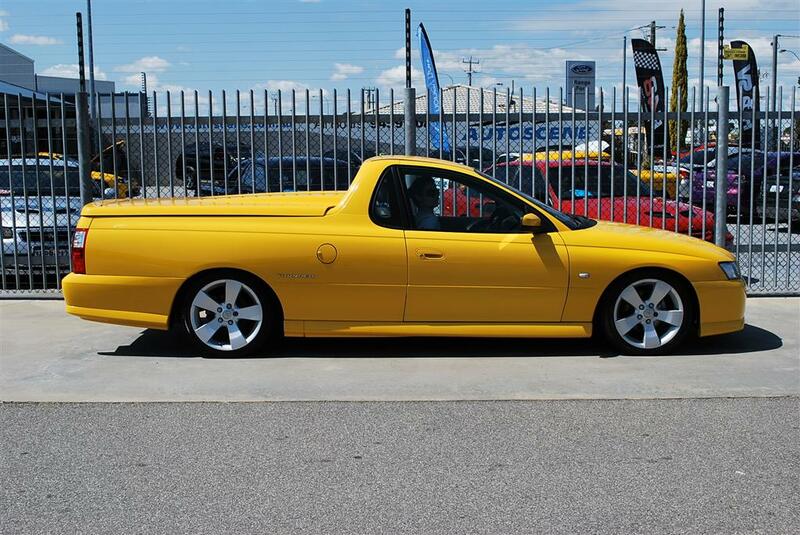 Stay tuned for stage 2 of this crazy Falcon ute, coming in 7 days.